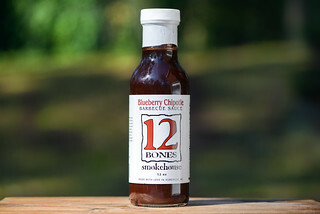 Bone Suckin' Sauce Hot adds a pleasing burn on top of the already crisp and fresh flavors of the original barbecue sauce. Not too hot and not too mild, it's sure to add excellent flavor to almost anything, even if the heat diminishes after being grilled. 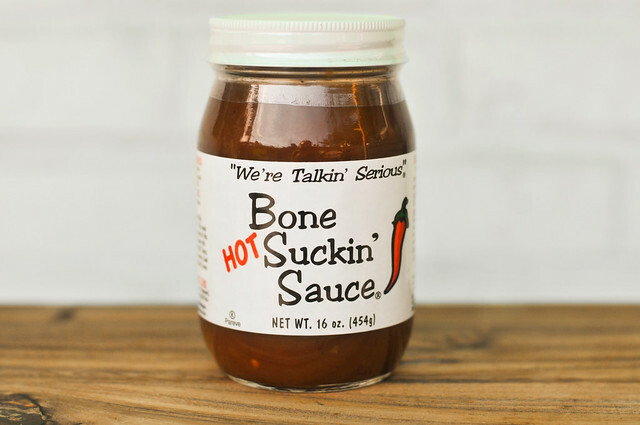 Bone Suckin' Sauce is the first to be awarded the honor to have two of their sauces reviewed here—I loved the original so much that I couldn't resist picking up this bottle of Bone Suckin' Hot when I saw it at the grocery. Since this is charted territory, the history of Bone Suckin' is already scribed on this blog, but a quick refresher: this is a western North Carolina sauce, it was started in 1987, and was dubbed "Bone Suckin'" because it forced sucking on bones to get ever last bit of saucy goodness out of them. Mirroring the original sauce, this has a smell of sweet tomato with a perfect balance of vinegar. Neither is too strong, creating an incredibly pleasing aroma that's easy on the nose. Although labeled hot, there wasn't any real heat to smell, but garlic and a faint smokiness was discernible, all staying in harmony overall. 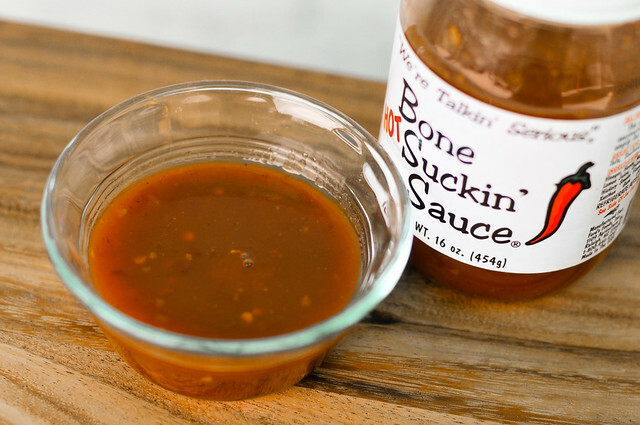 Bone Suckin' Hot is true to Western Carolina tradition, with a thin sauce that streams beautifully off the spoon. The transparency of this light red sauce lets you clearly see all the spices, particularly the red pepper flakes that defines this one from the original. This sauce starts off with all the freshness I loved in the original. Tomato, vinegar, molasses, mustard, garlic, smoke, and other spices are all crisp and work together in achieving an excellent balance. It's only after the sauce starts to settle on the tongue does the heat kick in. Although there's a definite spicy burn, it's not extreme by any means. There's no denying that red pepper flakes provide the heat here, which remains imprinted after all other flavors have vanished, leaving your mouth warmed, but not on fire. The thin sauce required extra basting to get a nice coating. Even so, it was still light and on the pale side for my taste, but it did caramelize nicely. 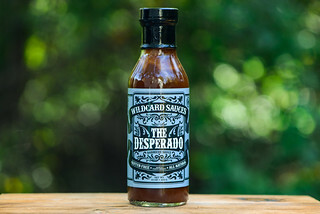 After being grilled, the heat that defined this sauce out of the jar became more of a supporting note in the sea of other clean, fresh flavors. 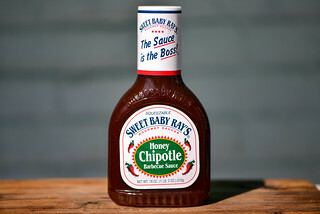 It's because of this that I actually preferred this sauce to the original for grilling, it just had that little extra something special to nudge it out on top. 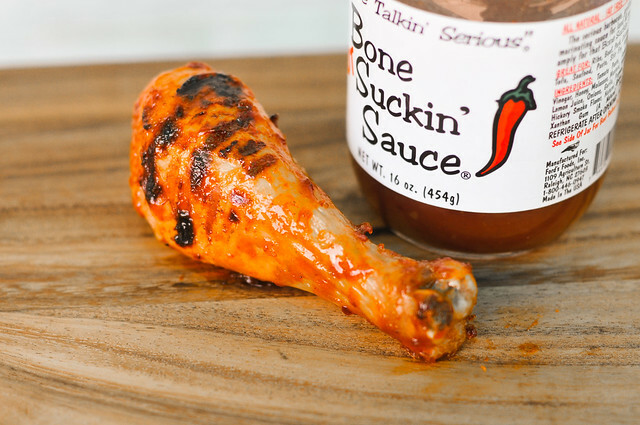 If you're looking to add some heat and great flavor, Bone Suckin' Sauce Hot would be hard to beat out of the jar. Since it became much more mild when grilled, I suggest it's best used as a condiment to preserve it's true form, although it's still pretty damn good slather and cooked, but a little light on the coating. With a pleasing burn, this may not provide enough of a thrill for serious hot heads out there, but it sure would dress up a pile of pulled pork in fantastic style. Pretty good stuff here. Believe it or not I have mixed this 50/50 with Johnny Harris Original and everyone went apesh** over it.